With his debut for Céline, fashion's favorite bad boy makes a H'wood-style comeback. 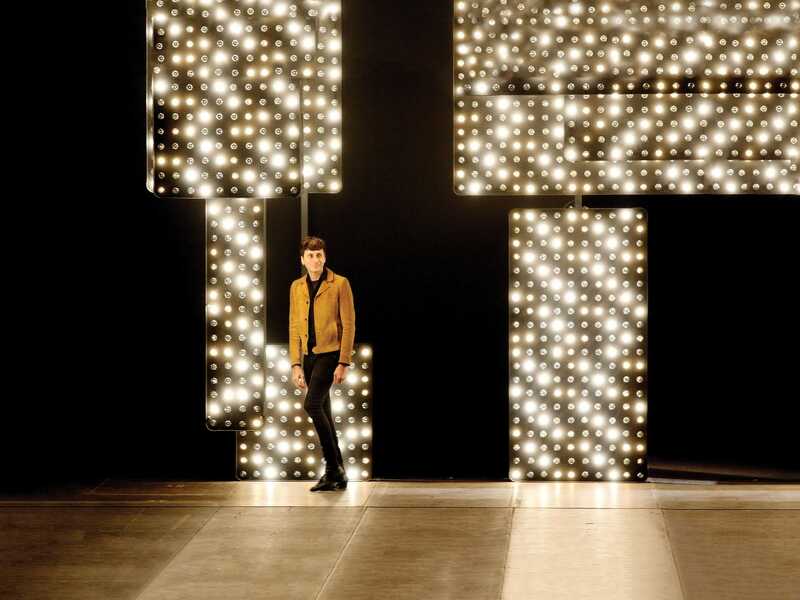 He’s baaack… When French fashion’s enfant terrible, Hedi Slimane, jumped ship at LVMH’s Dior Homme to reinvent Yves Saint Laurent for Kering in 2012, he rattled the entrenched fashion bastions of Paris and New York by dropping the “Yves” from the legendary brand’s name and moving creative operations to his adopted home base of LA. While some critics sniffed at Slimane’s singularly street-loving reimagination of “Saint Laurent,” the high-fashion-buying public went gaga over his LA-inspired collections, which the designer showcased on runways and in ad campaigns with next-gen celebs such as Dylan Brosnan, Dylan Lee, Jack Kilmer and Lucia Santina Ribisi. Saint Laurent sales quickly doubled. Hedi and Hollywood were a match made in haute couture heaven. This fall, the man who once enticed Karl Lagerfeld to drop 90 pounds so that the celebrated fashion king could rock Slimane’s signature skinny silhouette, is ready for another close-up, with his men’s collection for Céline. It’s a first for the beloved French brand formerly famous for its high-end if no-nonsense women’s apparel and must-have handbags. After a hiatus of two years, Slimane is back at LVMH and back on Hollywood’s fashion big screen. Tout LA will be on the edge of their runway seats this month to see what our adopted prince has up his slim-cut sleeves. As for the rest of the global fashion industry, take note of how we do style here on the “left bank” of the U.S. Slimane is clearly on to something… again. Bienvenue, Céline. Bon retour parmi nous, Hedi!